It's all about the confidence! Whether you're chanting the maftir, the haftorah, or the entire parsha, you've worked hard to learn Hebrew and trope and you need to get ready to shine. 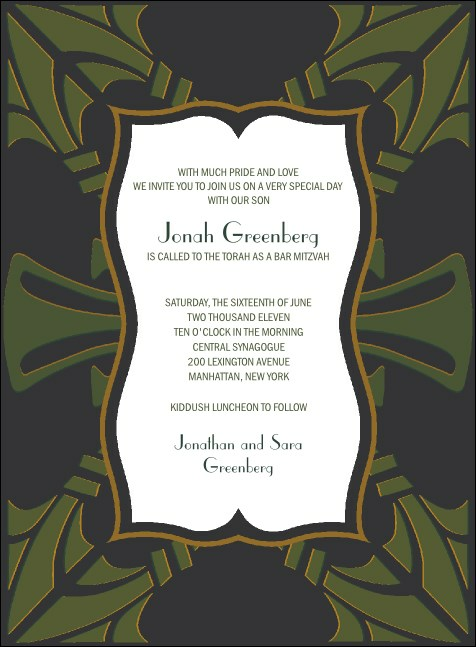 Share the pride and joy with these Bar Mitzvah Invitations in gold and green, with space to add all the details you want to share. Approximate size 4.14" x 5.63"
Come of age with TicketPrinting.com.